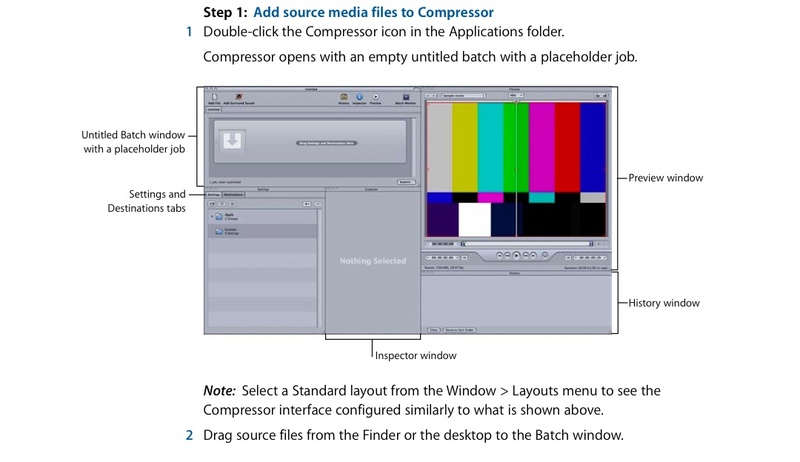 If you shot your video in High Definition then you will need to compress it using Compressor prior to importing into FCP. It is very easy to do, but time consuming. before you begin using it. 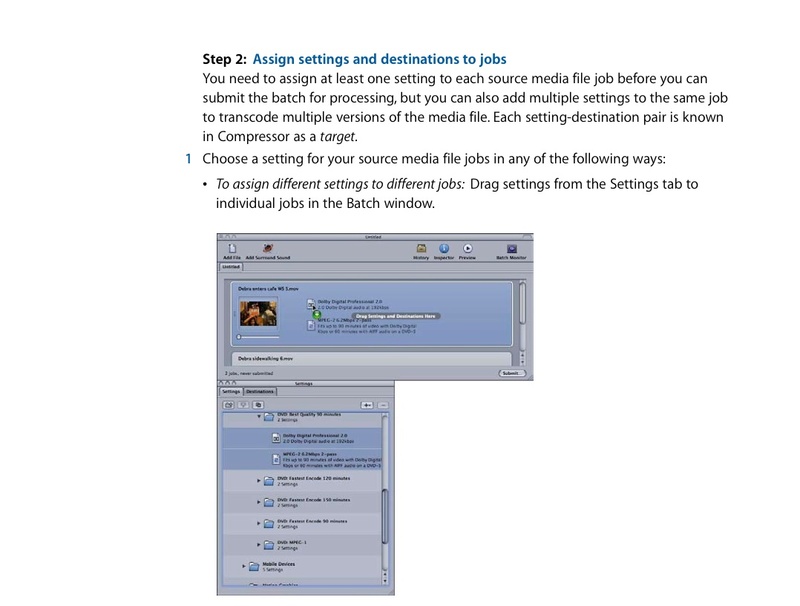 with each job based on its own source media file. 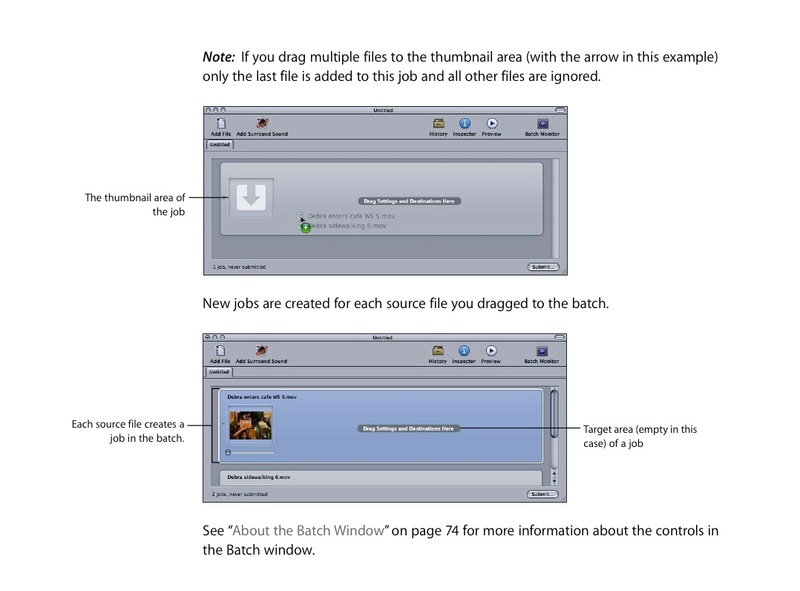 which means that you can easily create multiple output files, each with a different format. as a number of other aspects, including a variety of filters and geometry attributes. 2. 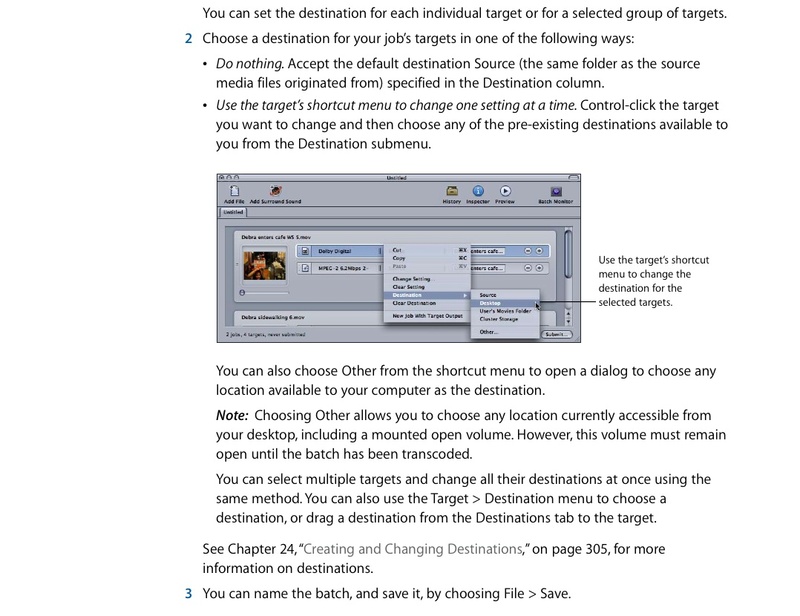 The destination: The destination part of a target defines where the output file is saved. includes a preference setting that allows you to specify a default destination. reason you do not want to use the name generated based on the destination. 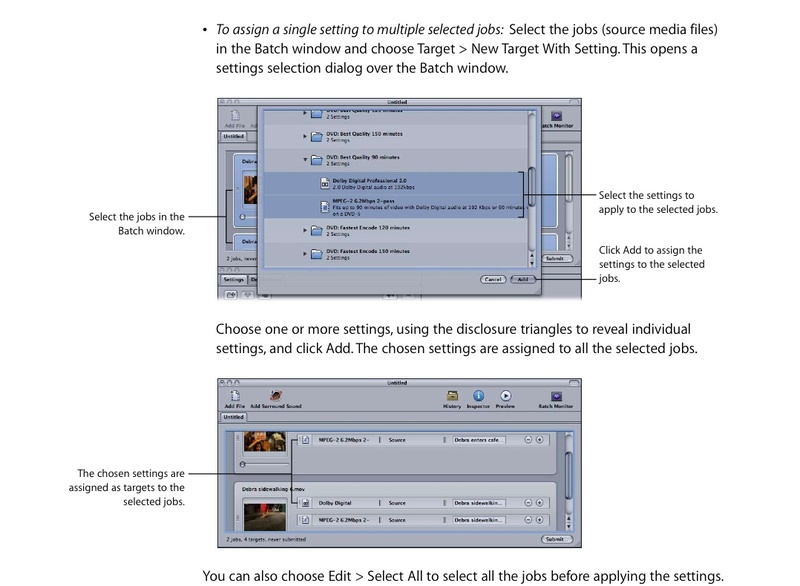 Note: You can transcode a job only after it has at least one setting assigned to it. If you experience trouble you may need to drag and drop one by one. Sometimes the computer cannot handle such a big load and will crash. I would avoid the select all jobs as outlined about, instead I would drag and drop this into each clip. It is time consuming but it prevents your computer from crashing. You may like to create a specific folder just for your compressed files so that they are easier to find when you are ready to import them into FCP. In the Destinations Tab > Custom. Click on the + button top right of the window > Local > your external hard drive and specific folder. Do this individually again to prevent your computer from crashing. Alternatively you can follow the instructions below as outlined in the manual. Once you can see your jobs have been completed in the Batch Monitor you can close it and then close Compressor. You can save it as you quit the program if you wish, but it is not absolutely necessary if it has been done correctly. 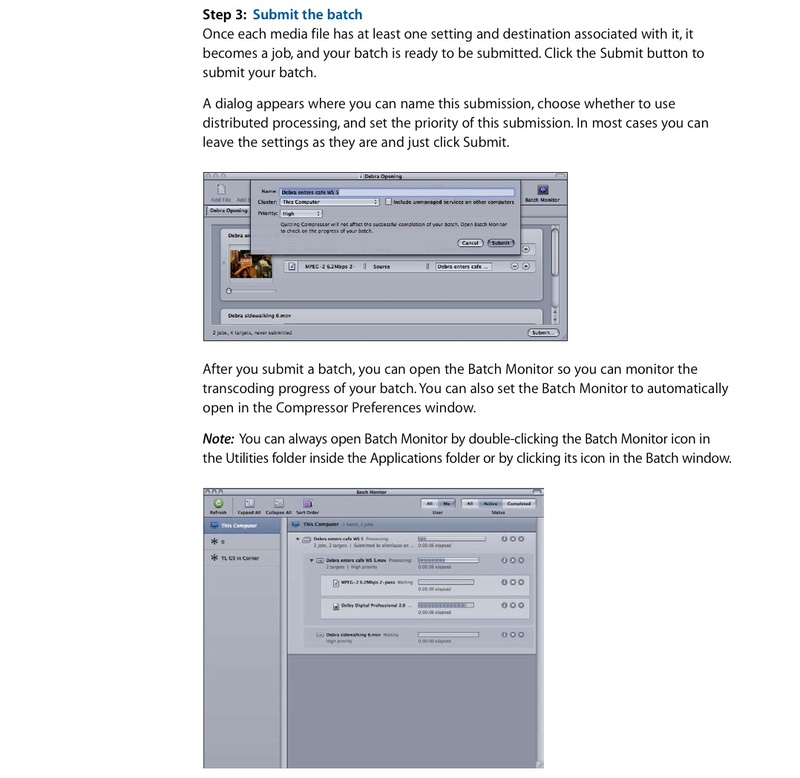 You can then import the Prores files into FCP following the instructions already outline in a previous tutorial.